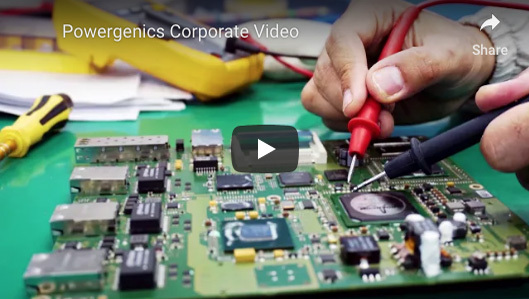 Powergenics is a leader in control and automation system circuit card repairs, replacement cards and power supplies. Repair technicians average 20+ years experience and use state-of-the-art test equipment to diagnose each problem. Each repair, in most cases, is tested in OEM racks with the same software you use. Repairs are high-quality, with quick turn-around at a low price! Expect to save between 33-50% on each repair. Average turn-around is 2-5 days. We have a huge supply of GE Speedtronic, Westinghouse, ABB, Bailey, and Siemens control system circuit cards and power supplies ready for sale. Never used a third party supplier? 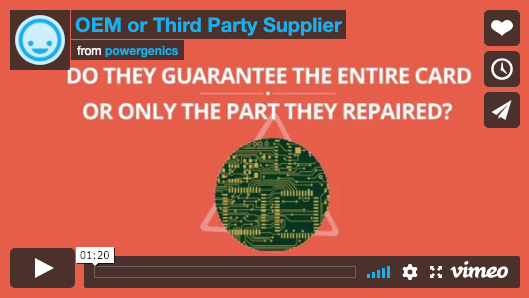 Watch this video to learn how Powergenics is different and how we can save you time and money! If you still have questions check out our FAQs page or contact us directly! We don’t just fix the immediate problem with your card or module. We go over the entire card or assembly replacing known, high-failure rate components to help prevent future failures. We also use industrial cleaning techniques, including ultrasonic cleaners, to clean your item and make sure it is returned to you in the cleanest condition possible. We also carefully repair any/all factory machine soldering which represents a large number of overall card failures. All repairs are returned in heat-sealed ESD bags and where available, shipped in MIL-STD containers for extra protection. We are a member of the Better Business Bureau in good standing. We have the longest warranty in the business, 3 years, and it covers everything. Parts, labor, and shipping. It is a “limited” warranty, but we do everything possible to make sure you are satisfied. If we can’t fix it, we’ll ship it back to you free! Quick repair turnarounds and an exchange program if we have your item in stock. We are the trusted source for many of the largest energy companies in the USA! Powergenics offers a 36 month warranty on all circuit board and card repairs.